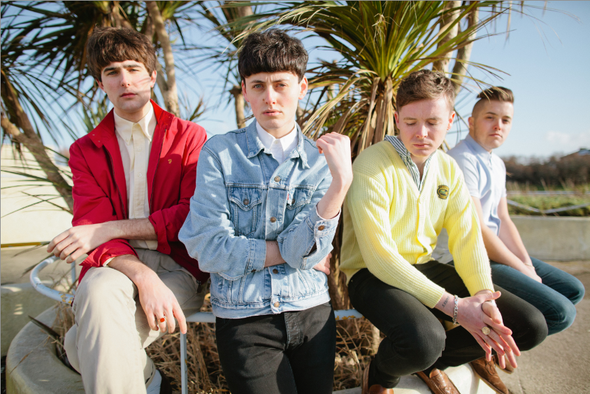 The Heartbreaks celebrate the limited early release of white vinyl copies of their debut album ‘Funtimes’ with a chance for fans to join the band on Record Store Day. From early in the morning on 21st April, the band will be touring participating record shops in London on their very own ‘Funtimes’ double decker bus. Stopping off along the way to play acoustic sets and hand out some very special Heartbreaks goody bags, the band will also invite fans onto the bus to tour London with them and get into the spirit of the day. You can follow where they’ll be from first thing Saturday on the band's Twitter and Facebook. The Heartbreaks precede the release of ‘Funtimes’ with a single, ‘Delay, Delay’ on 30th April. The recent runaway winner of Steve Lamacq’s Rebel playlist on 6 Music, the video for the single, shot in the band’s hometown of Morecambe, which also inspired all the artwork for both the single can be viewed below. The full release of ‘Funtimes’ follows on May 7th.